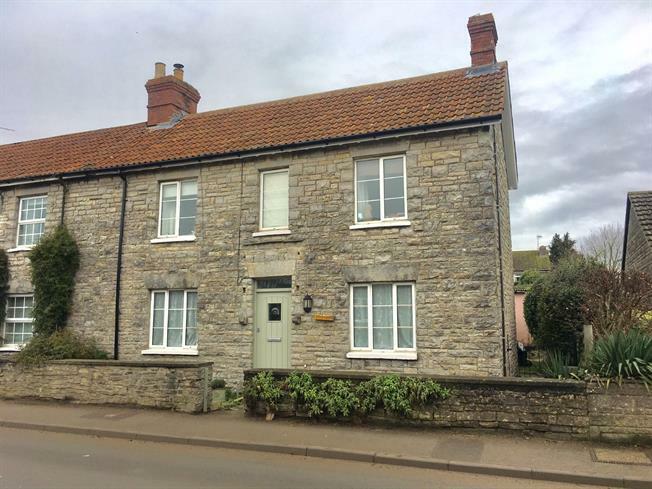 3 Bedroom Semi Detached Cottage For Sale in Somerton for Asking Price £250,000. Three bed semi detached cottage, situated on Langport Road in Somerton is conveniently close to the towns amenities and offers; entrance hall, living room, dining room, kitchen, down stairs bathroom, rear hall/boot room and three bedrooms. The property further benefits from gas central heating, garden, detached single garage and driveway parking. Kitchen base units with worktops over, space for washing machine, dishwasher and fridge-freezer, built in oven with hob and fan over. Inset Belfast sink, two double glazed windows to the rear aspect and opening to rear hall. Bath with electric shower over, pedestal hand wash basin, WC, radiator and obscure double glazed window to the rear aspect. Gate and stone wall frontage with path leading to front door and side gate giving access to the rear. Laid to lawn including a vegetable garden area, storage outbuilding and driveway leading to garage. Enclosed by stone and wooden fencing boundaries and vehicular gates lead out onto Behind Berry at the rear. Up and over garage door and window to the rear aspect. Council tax band C (South Somerset District Council), gas central heating via radiators, mains water and drainage, TV Aerial, telephone and broadband connected.